You're all set! Confirm you want deals for Excellence In Eye Care Inc in -zip-? 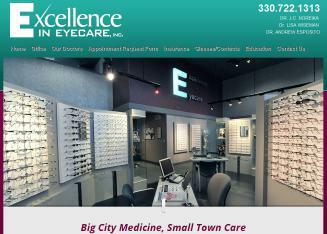 The Excellence in Eye care office designed with features unique to traditional medical facilities. Airy, open and comfortable, the office designed to avoid dead-end corridors typical of many clinics. An efficient flow scheme allows the patient to move around the office easily and the staff to do their tasks without haste. Call or visit our website today!